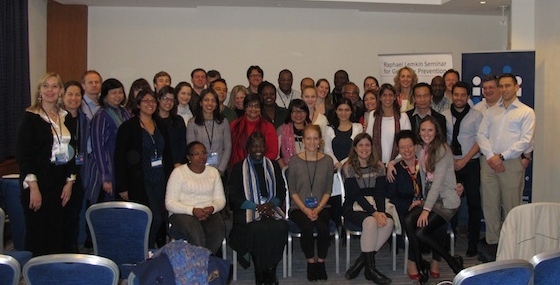 OŚWIĘCIM, POLAND – From November 16 to 23, 2014, AIPR held it’s seventh Global edition of the Raphael Lemkin Seminar for Genocide Prevention, welcoming 24 government officials from an array of countries, including Argentina, Chile, Costa Rica, Cote d’Ivoire, Brazil, Ecuador, Georgia, Kenya, Lao, Malaysia, Mali, Mexico, Netherlands, Tanzania, Tunisia, Uganda and the United States. Twelve instructors and seven observers also joined AIPR for the weeklong training in Krakow and Oswiecim, Poland. 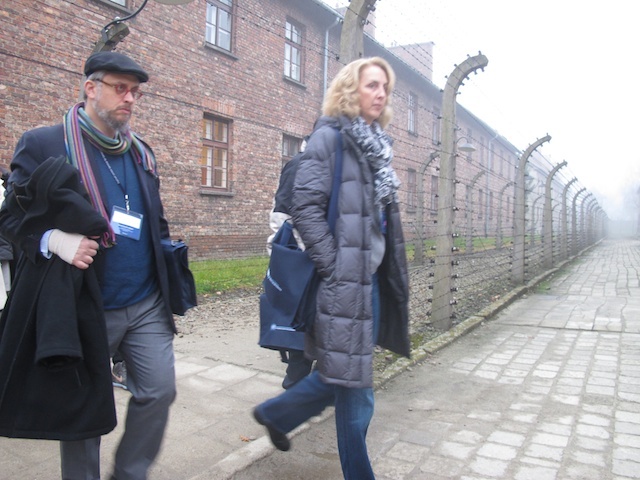 AIPR leverages the “power of place” in Auschwitz to awaken participants to the reality of genocide and to sensitize them to the importance of prevention. On Monday, November 17, and Tuesday, November 18, participants toured Auschwitz – Birkenau and learned how genocides and mass atrocities typically unfold. On Wednesday, November 19, the modules focused on perpetrators, legal frameworks for genocide and atrocity crimes prevention, and analyzed a current mass atrocity crisis spot (Burma). The program on Thursday, November 20, explored policy options for preventing and responding to risks of atrocity crimes, featured an exercise on the role of identity in transitional justice, and a case study on the development of Tanzania’s National Mechanism for Genocide and Atrocity Crimes Prevention. Friday, November 21, examined issues related to memory, transitional justice, and technologies for genocide prevention, while on Saturday, November 22, AIPR concluded the seminar by putting genocide and atrocity crimes prevention into action with a capstone simulation on Rwanda. Vahidin Omanovic, Co-Founder and Co-Director of the Center for Peacebuilding, Bosnia & Herzegovina, led the module on the role of identity in transitional justice. During his presentation he asked participants to list six personal identities on a sheet of paper, sparking a heartfelt discussion among participants on what identity means to a person’s self-worth and worldview. The SecDev Foundation’s Antoine Nouvet led the module on technology for prevention, inviting participants to research a recent mass atrocity in Syria using only social media. The exercise highlighted the double-edged nature of social media—a source of both current on-the-ground information and potential misinformation from interested parties. 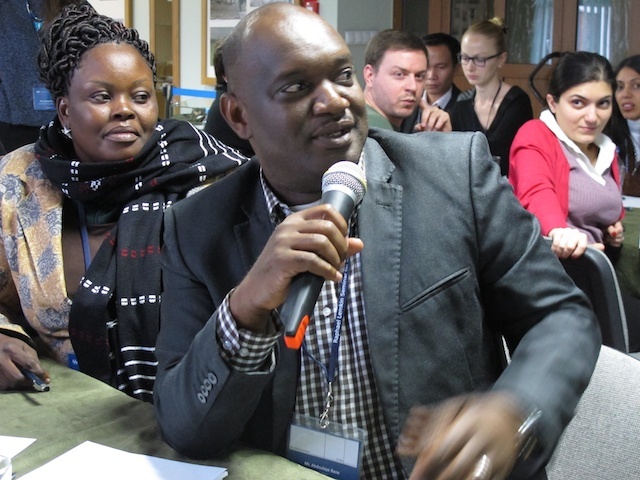 And the module on Tanzania’s National Mechanism was delivered by seminar participant Lucas Kusima, a member of the Tanzanian National Committee for the Prevention and Punishment of the Crime of Genocide, War Crimes, Crimes Against Humanity and All Forms of Discrimination. Mr. Kusima eloquently described the process leading to the establishment of the committee and highlighted the importance of securing buy-in from key actors in government, civil society and faith-based organizations. He also shared many best practices learned from the committee’s launch and subsequent activities, including its successful series of peace forums featuring leaders drawn from across Tanzania’s many religious communities. The next Global edition of the Lemkin Seminar for Genocide Prevention will be held in Poland in November 2015. For more information about this training, please contact Ms. Capicotto.